Cure Your Insomnia in 6 Simple Steps & Start Sleeping for 8 Hours Every Night – in Just 3 Days! I spent 15 years of my life hindered by lack of sleep. I was pushed from doctor to doctor, pill to pill, counselor to psychologist and eventually to the top insomnia specialist in Europe. Sleep to me was always a real-life nightmare. I never looked forward to my bedtime because 9 times out of 10 I would get a restless night's sleep and wake up feeling lethargic and gloomy. I just didn't understand why I couldn't fall asleep instantly, and why when I did fall asleep I couldn't stay asleep for 7 or 8 hours like “normal people” did. 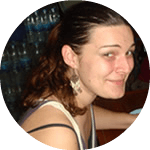 “Not one to be defeated, I embarked on a mission to discover the cure for insomnia”. 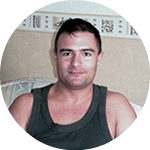 After numerous courses of sleeping pills, blood tests and more, my luck changed when my doctor referred me to a Sleep Hygiene Therapist at a sleep clinic in London's Harley Street. At the time this was a considered a new approach to insomnia, and was slowly being adopted by the medical profession as a way to cure insomnia naturally without benzodiazepines, which by then were renowned for causing rebound insomnia and heaps of side-effects. After my first session I was truly motivated. I began to realize that there were many aspects of my lifestyle affecting my sleep, things I could change and control myself, without the need for pills. For a start I was involved in music, which meant late nights and going to bed at different times. I was also partial to the occasional cigarette before bed, something I then foolishly believed to be a relaxant. Over the course of six weeks, my therapist taught me many interesting things about sleep, like how the body responds to light exposure, and how hormones and brainwaves play a major role in the sleep–wake cycle. We spoke about exercise and diet and how humans lived 10,000 years ago compared to how they live in modern times. It was incredible, and just learning more about sleep dramatically improved my sleep. 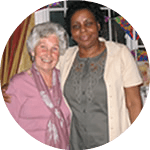 These sleep hygiene sessions changed my life in one fundamental way; they helped me turn the table in my favour. The knowledge gave me control. I had been given the power to cure my insomnia using natural means that I was already in ownership of. And so I manifested what I had learned and undertook a research mission. I put myself through trial and error until I completely understood every aspect of my environment and lifestyle that might possibly be affecting my sleep. I studied sleep through the ages, comparing the sleeping pattern of our hunter-gatherer ancestors with that of modern man. I discovered that insomnia had begun manifesting itself in society post the invention of electricity, and even more so post the agricultural revolution. As I dug deeper, I discovered that just about everything humans were doing was counterproductive in getting a good night's sleep. From an unhealthy sleep-wake cycle and lack of sun exposure to lack of exercise, eating the wrong foods, negative brain stimulation and an unfavorable sleeping environment, it's no wonder we are all struggling to sleep! Through this research I founded the Six Steps, a process that reprograms the body and creates and health sleep-wake cycle using good sleep hygiene methodology. The book was very well received, and I even got a congratulatory letter from my old sleep hygiene therapist! After researching lifestyle and environment, I began studying brainwave activity and the way the brain responds to varying lifestyle conditions. I learned that brainwaves work in the same way electrical equipment does. Brainwaves are measured in Hz, and like electricity the current changes when turned up or down. For example, when we are in high states of anxiety the speed of our brainwaves increases, and when we are relaxed the speed of our brainwaves decreases. When the brain is fully aware and awake (in the Beta state) it runs at around 20 ~ 40 Hz, when we are in a very relaxed state (the Theta state) the brainwaves run at around 4hz-8hz, and in deep sleep (the Delta state) our brains run at around 1-4hz. This made absolute sense to me because my sleep therapist had mentioned years earlier that in order to induce sleep we have to slow down brainwave activity. The Six Steps I'd developed already did this through the use of ‘mental triggers' that help the brain associate bed with sleep, but I found an effective way of enhancing this process by listening to special meditation music that uses theta and delta frequencies within the recording to relax the mind. I discovered that it was possible to slow brainwaves down by entraining the brain to release theta waves for deep relaxation and delta waves to promote deep sleep, simply by listening to this special music. This was a major discovery that became the proverbial icing on the cake. Thanks to some groundbreaking research by Doctor Gerald Oster in 1973, it was learned that audio signals could be used to train (or ‘entrain' to use the technical term) the brain to automatically move into certain frequency ranges. I won’t bore you with the finer technical details, but let’s just say that binaural beats meditation music is used the world over to strengthen memory, increase focus and concentration, treat ADHD, depression and, among other things, cure insomnia. And so I got in touch with the brainwave specialists at BinauralBeatsMeditation.com, and had three binaural beats audios specifically developed to be used in conjunction with the Six Steps. The Six Steps uses practical good sleep hygiene methods to correct the negative lifestyle and environmental conditions that contribute to insomnia. 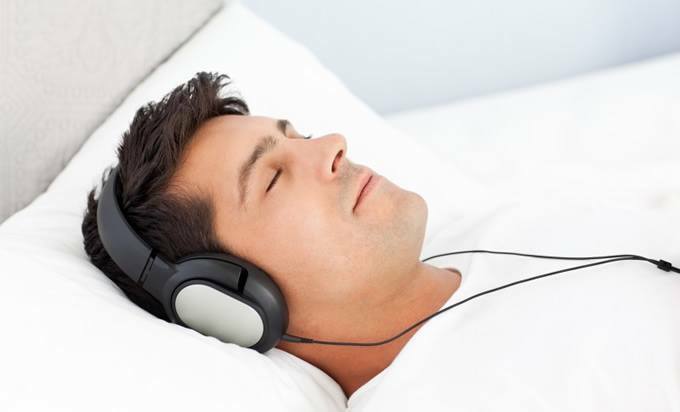 The Six Steps uses binaural beats (meditation music with special frequencies) to entrain the brain to settle into the theta brain state when it's time to relax and prepare for sleep, and then the delta brain state when its time to go to sleep and start your nightly sleep cycles. The Six Steps also comes with a diet plan to help you optimize your diet for healthier sleep and eliminate foods that disrupt your sleep cycles. I spent 15 years suffering insomnia. I found the cure, and now I'm sharing it with you. Get instant access now for 50% off the regular price $39.99 $19! So Simple, Anyone Can Do It! Using the Six Steps methodology and audio accompaniments, I have naturally evolved from insomniac to sleep lover. And since its inception, the Six Steps has become the cure for over one hundred thousand others, too. All you have to do is follow the Six Steps set out in the book for 30-days straight, listen to the audios at the suggested times, and start sleeping like a baby. Within 3-days you'll witness an amazing transformation, as your sleep-wake cycle begins to reset and you begin to sleep faster, deeper and longer. In My Book You'll Discover..
How to fall asleep within a few minutes of getting into bed. How to stop your mind racing away as soon as your head hits the pillow. How to stop feeling anxious and restless near bedtime. How to stay asleep for 7+ hours without waking up. How to sleep well when sharing a bed with a partner. How to sleep soundly in new environments. Using the meditation audios is really easy. All you have to do is put on a pair of headphones, relax, press play and let the frequencies do the work! These 30-minute meditations have been created by brain entrainment specialists to combat insomnia. All the audios are instantly downloadable in mp3 format and can be played back on a computer, mp3 player, tablet or smartphone. To feel the effects, make sure you're wearing headphones when testing the samples. Deep Sleep is a Delta wave meditation set to a soundscape of calming music. Delta waves are released when the brain is in a state of deep sleep (stage 4), when the body regenerates cells and tissue and produces hormones essential for growth and development. Deep Sleep is designed to induce natural sleepiness and should be listened to up to an hour before going to sleep. By entraining the brain to release Delta waves around bedtime, you will experience deeper, more restorative sleep cycles. Anxiety Release is a mid-Theta wave meditation set to a soundscape of peaceful, dreamy meditation music. Theta is the state the brain is in when the body is deeply relaxed and able to enter either a meditative state or the early stages of sleep. Anxiety Release will help release anxiety and fear around sleep, retraining the mind and body to embrace relaxation and calm and react appropriately to the feeling of tiredness. Use Anxiety Release in the evening or during the daytime to relax and release stress & anxiety. You'll quickly notice how much calmer and less anxious you feel when you get into bed at night. Calm Mind is a Low-Theta wave meditation set to a tranquil soundscape that helps your mind escape to a calmer place. An overactive mind is the most common cause of not being able to fall asleep. Calm Mind will stop your mind racing, and is the ideal listen after one of those stressful days at work when your mind is cluttered and churning over the 101 things you need to do tomorrow. Empty your mind, create a blank canvas of calm, fall asleep fast and wake up feeling refreshed! Blissful Sleep prepares the mind for deep, restful sleep, and is ideal for those struggling with mid-sleep waking and subsequent poor-quality sleep cycles. Delta sleep is our deepest sleep, and arguably most vital, since it's where tissue growth and repair occurs and energy is restored. Blissful Sleep is a soothing, hypnotic meditation, designed to help you relax and fall into a state conducive to deep sleep. Listen up to an hour before bed or while you drop off to sleep, and alternate with the Deep Sleep recording as and when you wish. The Six Steps program has helped over 100,000 people overcome insomnia. Below is a selection customer feedback I've received over the last two years. After suffering for many years on and off with periods of insomnia. I had given up on a cure and and was at a point of depression. I'd manage maybe two good nights a week, with the rest averaging two or three hours sleep a night, leaving me tired and unable to concentrate. Thanks to you I'm now sleeping well the majority of the time, even when sharing a bed with my boyfriend. I have also become a fan of brainwave entrainment too and use the recordings regularly to relax my mind in the evening. Thank you for sharing your experience and solutions so that others like me can sleep normally again. I was so glad to finally find someone who understood what I had been going through for the last 2 years. My life had become a blur because sometimes I was barely sleeping for three days at a time. My sleep is now ten times as good as it was this time last year. Your theory is practical and really easy to understand, and best of all it's natural. The audios have worked wonders, and that's coming from a skeptic! For so long it felt as if I'd never sleep well again. I'd given up hope, accepted being an insomniac and that I'd always be tired and irritable through the day. Your book really opened my eyes to so many aspects of sleep and how to create a sleep-friendly lifestyle. The first week was really hard, but I'm now falling asleep fast for at least 6 hours straight, and I no longer need coffee to prop me up through the day. I'm back to my old self, almost! I can't thank you enough for the advice and motivation. Like you I had trouble sleeping as a teenager, and when I came here to University I was worried that lack of sleep would affect my grades. Just as I had anticipated, the stress of a heavy reading schedule left me tossing and turning for hours thinking about my studies. Your program was recommended to me by my aunt, and it has helped me so much; and not just in sleeping, but in calming my mind for a state conducive to long, productive study periods. This has turned out to be a really positive investment. I found your book very interesting, particularly the chapter on stress and anxiety, which really made me understand what was affecting my sleep and how to approach putting it right. At my age the smallest of things can worry you and I have been a fairly anxious person my entire life. I didn't want to turn to sleeping pills, so I thought I'd give your advice a try. I really enjoy listening to the calming music to send me off at night. Being a pensioner I'd never thought about new-age stuff like this before, but it really is incredible the way it relaxes my mind and helps me drift off to sleep. Maggie – Washington DC, USA. Download Today & Receive 2 Sleep-Boosting Bonuses! 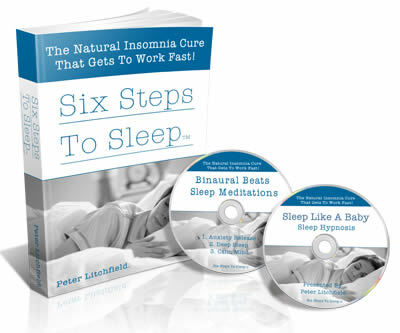 I want to help you optimize your sleep as much as I possibly can, and so for a limited time only, I'm offering three bonus gifts with the Six Steps book and audios to help maximize your sleep potential. 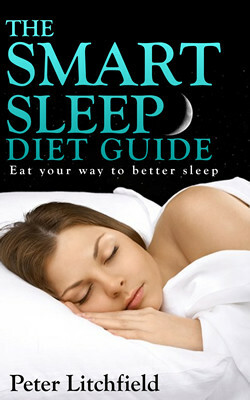 The Smart Sleep Diet Guide teaches you all you need to know about eating your way to better sleep. The guide provides you with comprehensive dietary advice on foods that negatively affect your sleep, and advises you on the best foods to eat to boost sleep quality. The Smart Sleep Diet Guide includes a meal plan with multiple options for alternate days of the week. Now you can improve your sleep quality and your overall health with sleep-friendly foods! 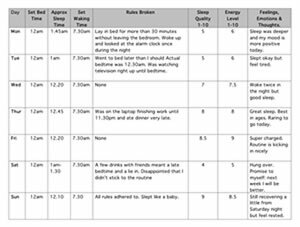 The Weekly Sleep Planner is a practical chart you can use to track your daily sleep progress. Fill in the plan each day to ensure you remain fully committed to the Six Steps program. Write down how you feel about your progress, and be sure to note any rules you break during the program. This plan will help you stay committed and get through those tough first few days. The Six Steps works. I know it does because I suffered from insomnia for 15 years and cured myself using these exact methods, and so have thousands of others. 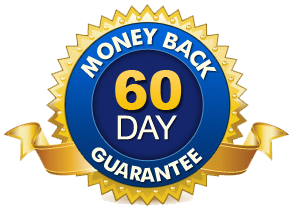 I am so confident in the Six Steps program and its ability to cure your insomnia, that I'm offering a 60-day money back guarantee. If you're not sleeping better within 3-days, all you have to do is drop me an email and I will give you a full refund. 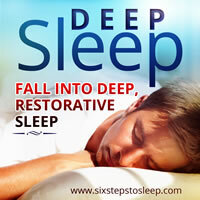 Download Six Steps To Sleep, Now! Here's to healthy, restful sleep. 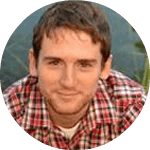 Peter Litchfield – Six Steps founder. P.S. Just to clarify: Once you checkout through Clickbank, the secure payment gateway, you'll get instant access to download the Six Steps program to your computer. All components are PC/Mac, Tablet and Smartphone compatible. Please note the package contains digital downloads and no physical products will be shipped to you. If you have any further questions, please refer to the FAQ, or contact me directly by clicking here. P.P.S. One last thing. 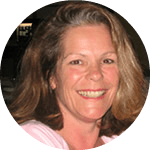 I would love to share your success story with others who visit this site. So if you get a moment in the next couple of weeks, please drop me an email and let me know how you're getting on. Copyright © Six Steps To Sleep 2009-2019. All Rights Reserved.